Jam indebted to many talented and special friends and family members who have contributed advice and observations from their considerable knowledge, who have patiently offered welcome encouragement, and, for some, devoted many hours of time to the making of this book. Thank you does not begin to express my gratitude but I am indeed grateful to you all. Very special thanks go to long-time friend George Schenk, who has kindly offered invaluable support, encouragement, and welcome advice throughout the entire process from writing to publishing. In addition he has contributed a delightful foreword and enriched the text with photos and his ever-lively written observations, presenting fresh information on tropicals that I could not have gotten from anyone else. The line drawings are the work of multitalented Richie Steffen of the Elisabeth Miller Botanical Garden, who combines his artistic skills with his extensive knowledge of all plants, not just ferns. His contribution of slides includes selections from those taken around the world as well as diagnostic close-ups taken through the lens of a microscope. Xeric specialist David Schwartz provided welcome observations and photos to expand the coverage of those challenging ferns. Pictures from Nils Sundquist of Sundquist Nursery, Poulsbo, Washington, give the reader a look at successful professional growing, and those from Naud Burnett and Kent Kratz of Casa Flora in Dallas, Texas, illustrate stages in tissue culture. 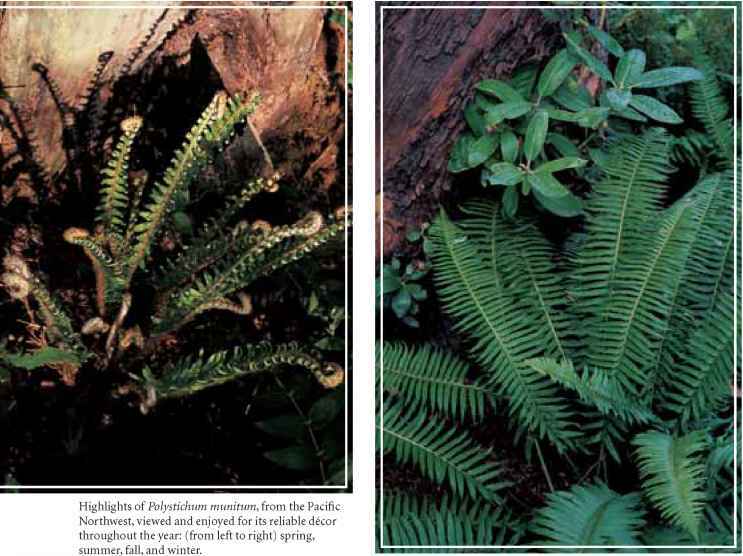 Jim Baggett of Corvallis, Oregon, provided the detailed black-and-white photographs of rock garden ferns. Willanna Bradner offered her special art and computer skills to scan the two hand-colored prints. Thanks too to Graham Ackers, Joan Eiger Gottlieb, Richard Lighty, and Alan Ogden, all of whom donated photos. I have been pursuing ferns and fern knowledge for decades and photographing them for almost as long. Many friends have welcomed me to their gardens where we have shared knowledge and good times. I am pleased to include pictures from some of these gardens including those of the late Don Armstrong, Jan and Jim Baggett, the late Mrs. Hugh Baird, the late Roy Davidson, Joyce and Fred Descloux, Joan and Milton Gottlieb, Yvonne and Russ Graham, Doris and Wayne Guymon, Joan and Jerry Hudgens, Sally and Richard Lighty, Carol and John Mickel, Marietta and Ernest O'Byrne, Milton Piedra, Rose Marie and Jack Schieber, Margaret and John Scott, Tom Stuart, Eve and Per Thyrum, and John van den Meerendonk and Karen Klein from the United States; Doreen and Clive Brotherton, Rita and the late Ray Coughlin, the late Reginald Kaye, Martin Rickard, and Jackie and Alastair Wardlaw of Great Britain; Erika and Ingo Carstensen, Ilse and Siegfried Förster,Wolfram Gassner, Ilona and Stefan Jessen, Margit and Christian Kohout, Sabine and Dietrich Nittritz, Berndt Peters, Eva and Helmuth Schmick, and Erika and Günter Stobbe all of Germany. And finally enthusiastic and warm thanks go to my special local supporters, Willanna Bradner, Sylvia Duryee, Jocelyn Horder, and Pat and the late Marilyn Kennar, whose beautiful gardens are always open and where I have always been welcome. Botanical gardens and nurseries with their varied displays offer wonderful learning opportunities. I thank the following for permission to print photos from their gardens (and I also recommend a visit): Bellevue Botanical Garden, Bellevue, Washington; Birmingham Botanical Garden, Birmingham, Alabama; Bloedel Reserve, Bain-bridge Island, Washington; Cornell Plantations, Ithaca, New York; Noel Crump Nursery, near Auckland, New Zealand; Dallas Arboretum, Dallas, Texas; Elandan Gardens, Bremerton, Washington; Elisabeth Miller Botanical Garden, Seattle, Washington; Elk Rock at the Bishop's Close, Portland, Oregon; the Flora and Botanical Gardens of Cologne, Germany; Hamburg Botanical Garden, Hamburg, Germany; Henry's Plant Farm, Snohomish, Washington; Institute of Ecosystem Studies, Millbrook, New York; Lakewold Gardens, near Tacoma, Washington; Longwood Gardens, Kennett Square, Pennsylvania; Lyndhurst (estate), Tarrytown, New York; Morris Arboretum, Philadelphia, Pennsylvania; Mount Cuba Center, Greenville, Delaware; New York Botanical Garden, Bronx, New York; Olbrich Botanical Garden, Madison, Wisconsin; Rhododendron Species Botanical Garden, Federal Way, Washington; University of California Botanical Garden at Berkeley, California; Washington Park Arboretum, Seattle, Washington; Wells Medina Nursery, Medina, Washington. Many experts have generously assisted with information and I extend my sincere thanks to the following specialists for their notes and observations: Tony Avent, collection details on new introductions; Julie Barcelona, tropical identification; Dave Barrington, polystichums; Christopher Fraser-Jenkins, dryopteris and Asian species; Wolfram Gassner, Chad Husby, and Jürgen Schieb, for their pursuit of the correct identification on Equisetum myriochaetum; Chris Haufler, polypodiums and definitions of sporangiasters and nothospecies; Jim Horrocks, for years of research and helpful contributions with details on individual species for the Hardy Fern Foundation Quarterly; Richard Lighty for enlightenment on Deparia; David Johnson, matteuc-cias; Alan Ogden, for some philosophical additions; Martin Rickard, for guidance on tree ferns and Pyrrosia, and for carefully reading and making suggestions on the entire Polypodium entry; Keith Rogers for information on Australian gardens; Robert Stamps for commercial details on Rumohra; Tom Stuart for alerting me to newly published research, for checking herbarium material, and for providing information on apoga-mous ferns; Michael Sundue, for comments on distinguishing Blechnum chilense from B. cordatum; Alan Smith for a ready supply of help on assorted issues; and Alastair Wardlaw for in-depth descriptions of preserving tree ferns throughout the winter and for general information on Pyrrosia. Grateful thanks go to my German colleagues, especially Wolfram Gassner, Margit and Christian Kohout, and Berndt Peters, who have provided detailed information and helped with research on the extensive collections of plants they cultivate, many of which are rarely seen elsewhere and totally unavailable for study in the United States. Lake City, Utah; Karen and Dan Jones, Birmingham, Alabama; Margit and Christian Kohout, Dresden area, Germany; Jean and Scott Lundquist, Niles, Michigan; Alan Ogden, Birmingham area, Britain; Berndt Peters, northern Germany; Martin Rickard, central England; Keith Rogers, Australia; Jack Schieber, Otto Heck, and John DeMarrais, mid-Atlantic states; David Schwartz, xerics in Bakersfield, California; Alan Smith, Berkeley, California. I thank the board members of the Hardy Fern Foundation who have been enthusiastic and generous with their support, and especially Michelle Bundy who has given welcome help in many ways. I especially appreciate her work in compiling the lists of fern sources and sites. 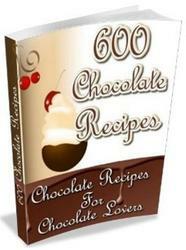 Three very special friends have devoted a great deal of time and thought to the accuracy and progress of the book. I cannot begin to thank Ralph Archer of Louisville, Kentucky; Joan Eiger Gottlieb of Pittsburgh, Pennsylvania; and Tom Stuart of Croton Falls, New York, for the hours they devoted to reading the entire manuscript, in some cases several times, and for their valuable suggestions for improvement. In addition to their contributions of knowledge and encouragement, they went well beyond traditional proofreading expectations in many ways, including providing source material for practical help and verifying identification from herbarium and field sites (which sometimes involved quite a bit of travel). Each brought their special talents, with Ralph keeping a practiced eye on cultural requirements, Joan utilizing her keen skills on scientific and grammatical exactitude, and Tom applying his research interests and scientific capabilities in mining and sharing the resources of the Web and in giving logic to derivations. 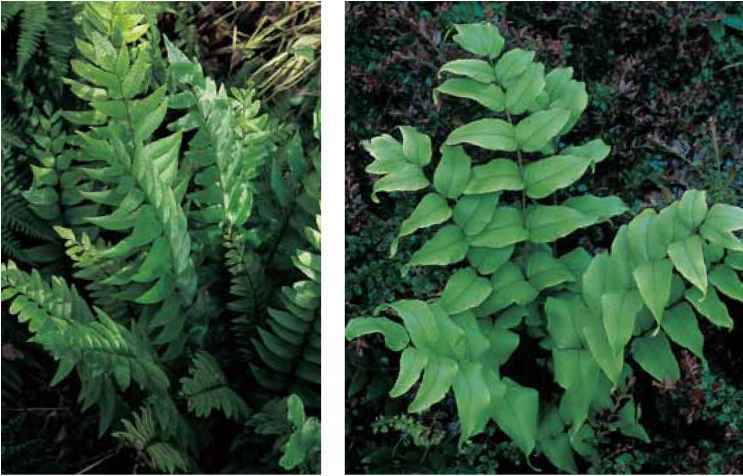 His Website, www.hardyfernlibrary.com, offers a wealth of comprehensive information and illustrates ferns hardy in USDA Zones 6 to 8 or 9. I would like to respectfully recognize several friends who are no longer with us, but whose support over the course of many years, and especially during those of my early learning stages, encouraged me to continue the pursuit of all aspects of fern growing and knowledge and to make it an important part of my life. Dorothy Brauss, Neill Hall, Mareen Kruckeberg, Betty Miller, and Harriet Shorts, thank you for your mentoring and confidence.